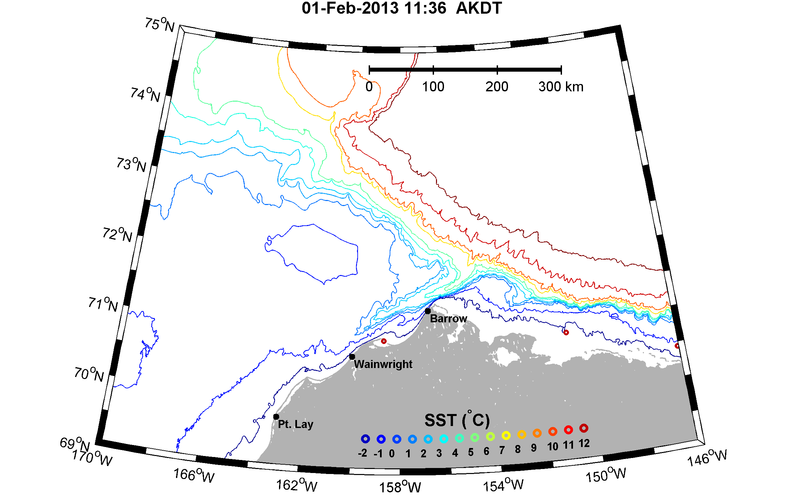 In 2012, over 100 drifters were released in the Chukchi Sea to explore current shear in the upper ocean, and its relationship to stratification and winds. The drifters transmited position information to our server, and information from these files has been summarized in KML files and displayed on the map below. Clicking on the markers reveals data on the drifter's daily status. Static maps of individual drifters are also available at the 2012 Chukchi Sea Oceanographic Drifters page. Last modified: May 03 2018 00:28:57.